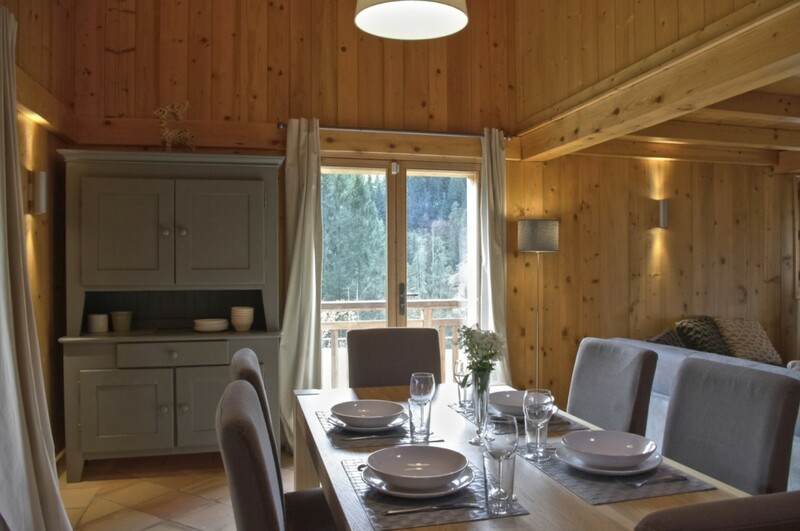 Located in the lovely woodlands of the Le Jaillet area in Megeve, the utterly charming Chalet Alvine is a rare and unique find. 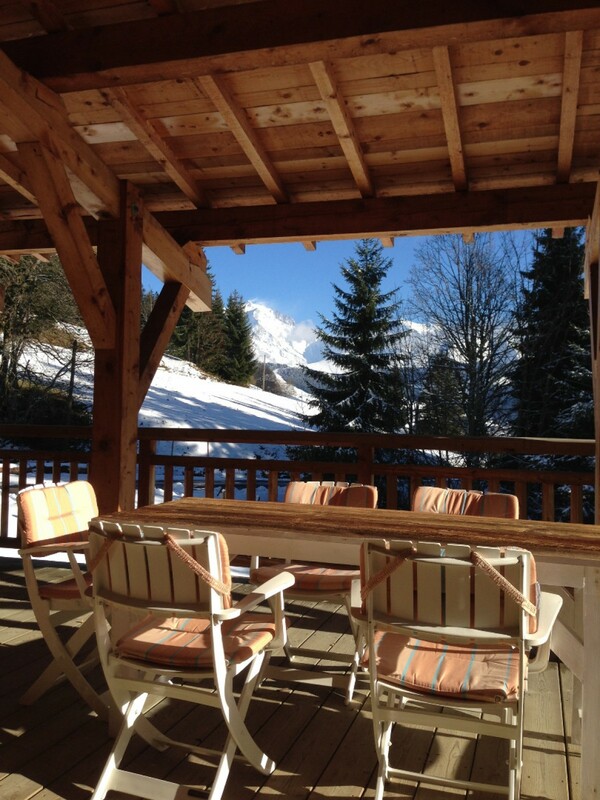 It sets guests within a large and private park, and offers unprecedented views of Mont Blanc in the near distance. 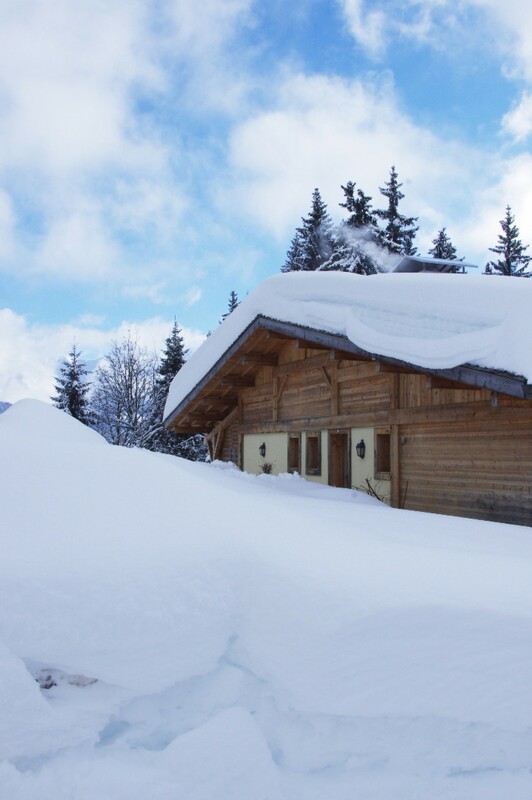 Designed in classic alpine style, it is a perfect choice at any time of the year. With an array of large covered porches, it creates an idyllic blend of indoor and outdoor living spaces for guests to enjoy. 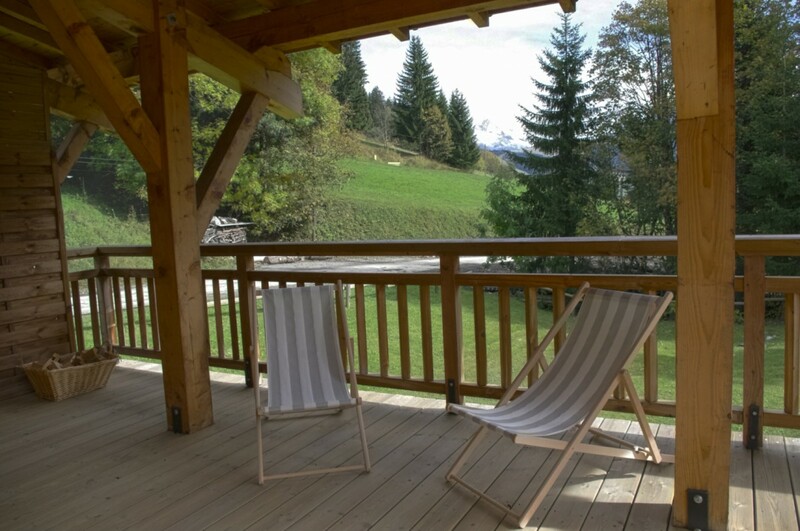 Dine al fresco while marveling at the mountain scenery, lounge on a sunny day as you gaze towards the private fields, or head indoors to savor the remarkable comforts of your classic chalet accommodation. A large great room is paneled in blonde wood and features high ceilings, banks of glass and furnishings that are substantial yet perfectly suited to the space. 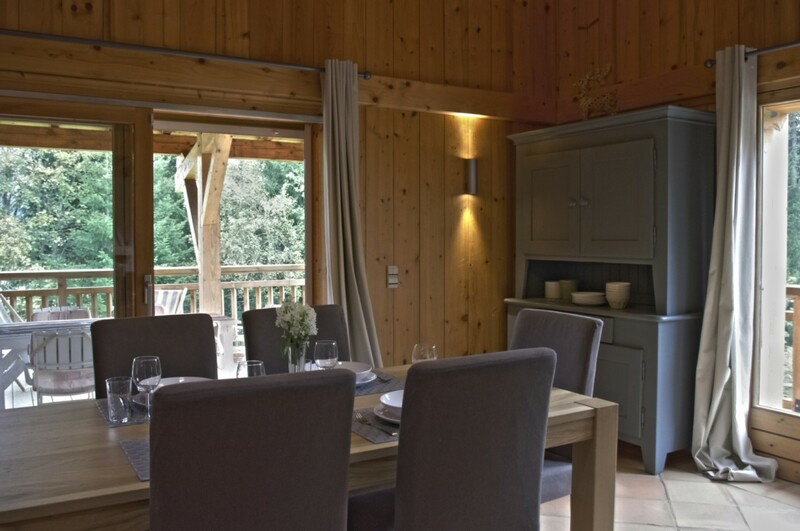 The dining room is an uncluttered space that gazes out to the views, and it sits adjacent to the remarkably cozy living room area. This offers you oversized sofas and chairs as well as a modern entertainment system. The fully-equipped kitchen stands ready for you to make meals or drinks, and it too is a space flooded by sunlight and designed with clean and appealing esthetics. 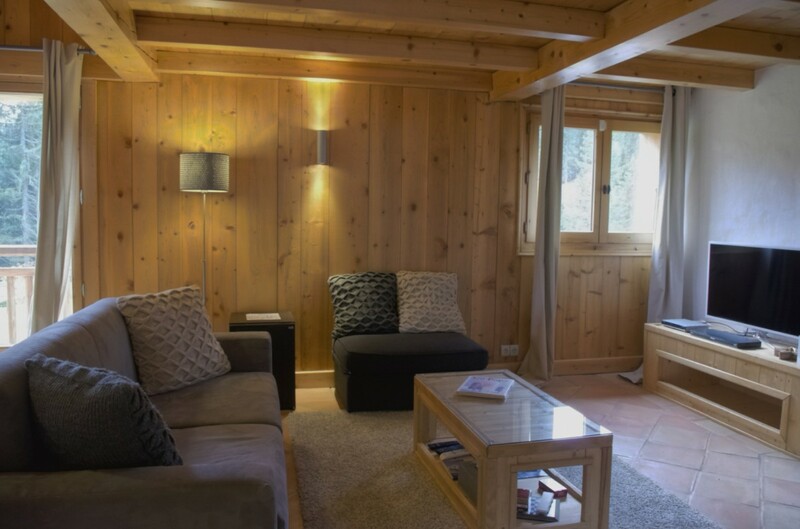 The three bedrooms adhere to the same excellent simplicity and yet are just as soothing and welcoming as the rest of the chalet. 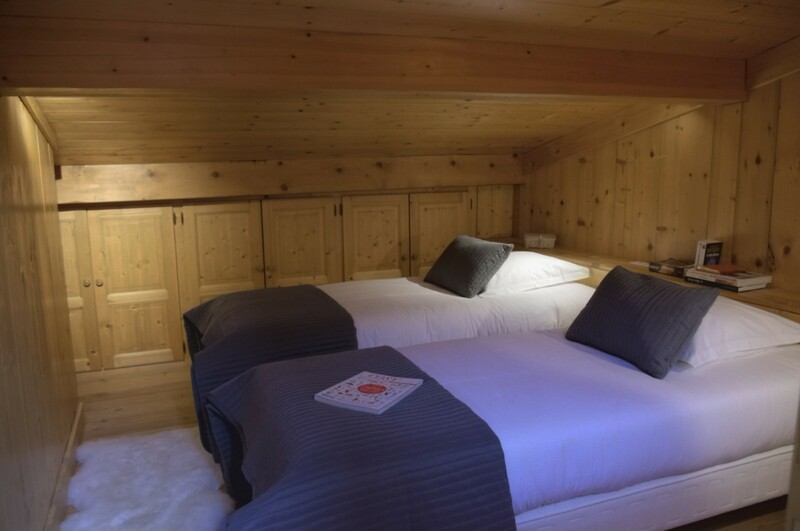 The master suite features a double bed with a large, private bath. 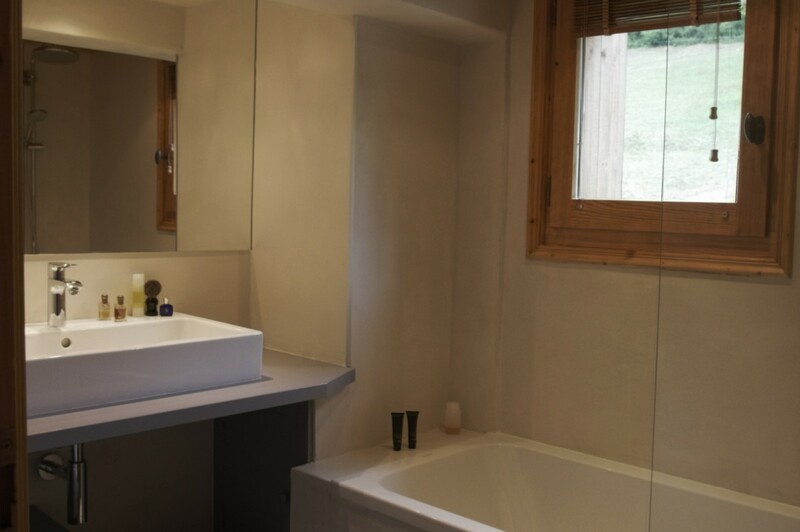 The remaining suites each feature two singles or a double bed, and they share the second large bath. 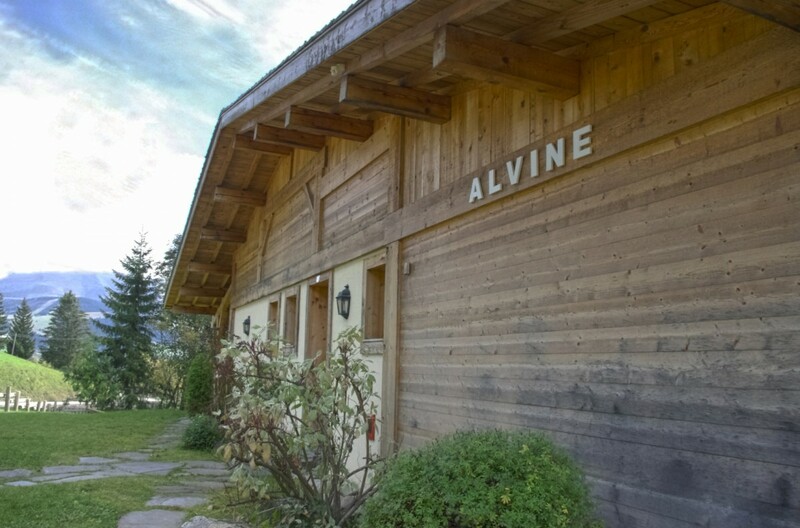 Whether with friends or family, the Chalet Alvine offers you year round beauty and convenience. 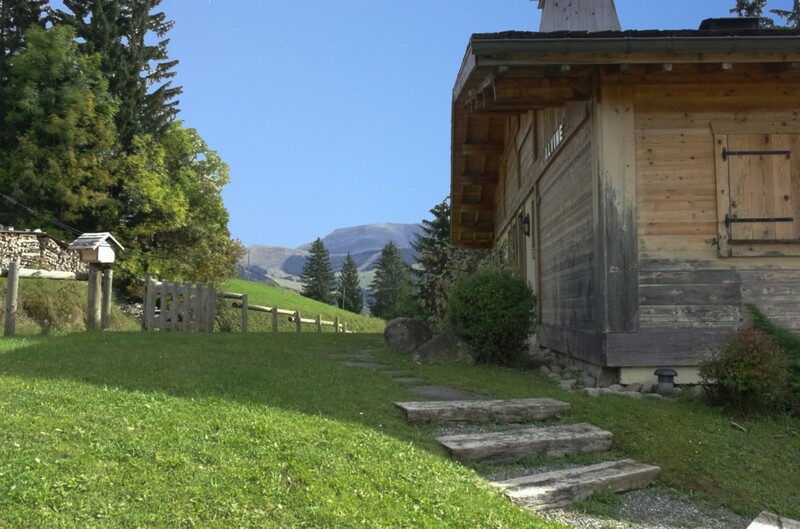 Close to some of the finest skiing as well as surrounded by beautiful and private park lands, it is a wonderful choice for the skier and non-skier alike. Bedroom 1: Master bedroom with a double bed and en-suite bathroom with bathtub/shower combination, vanity and WC. 2 guests maximum. 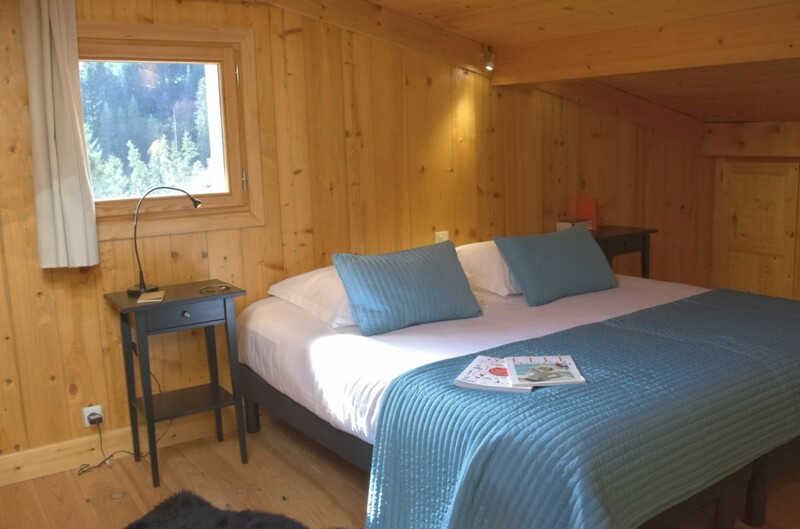 Bedrooms 2 & 3: Bedroom with 2 single beds or a double bed and shared bathroom with bathtub/shower combination, vanity and WC. 2 guests maximum.